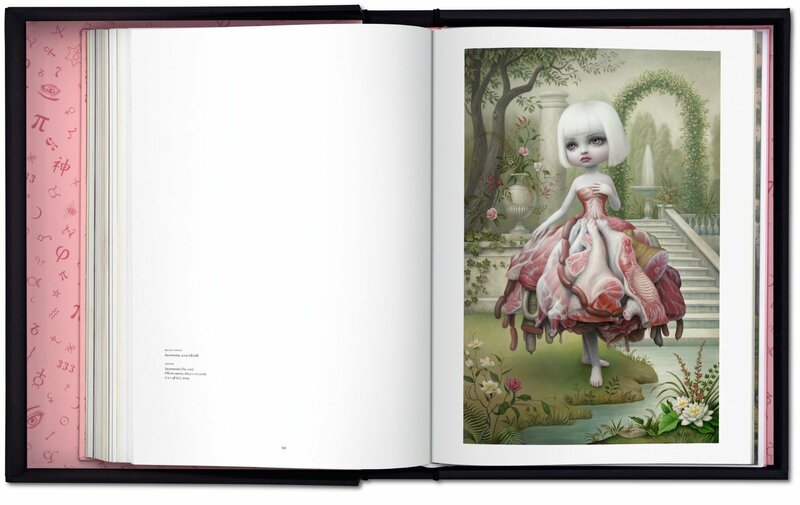 Enter the surreal world of Mark Ryden with this retrospective of almost two decades of the artist’s practice through his key exhibitions. 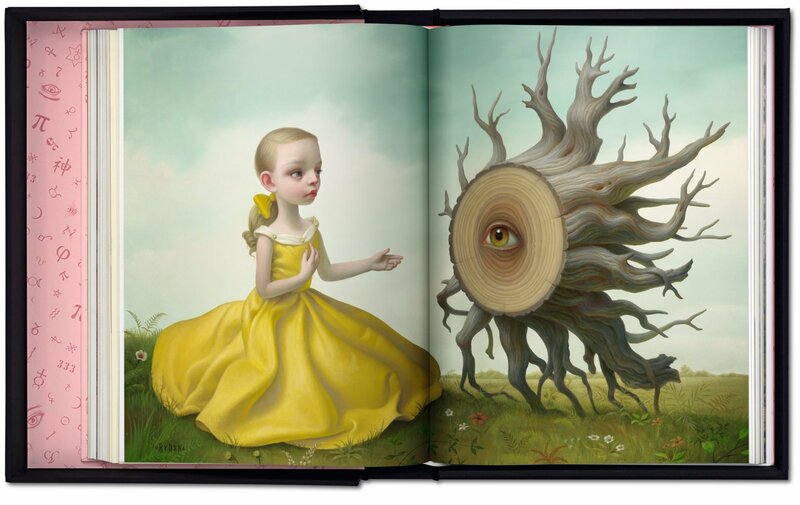 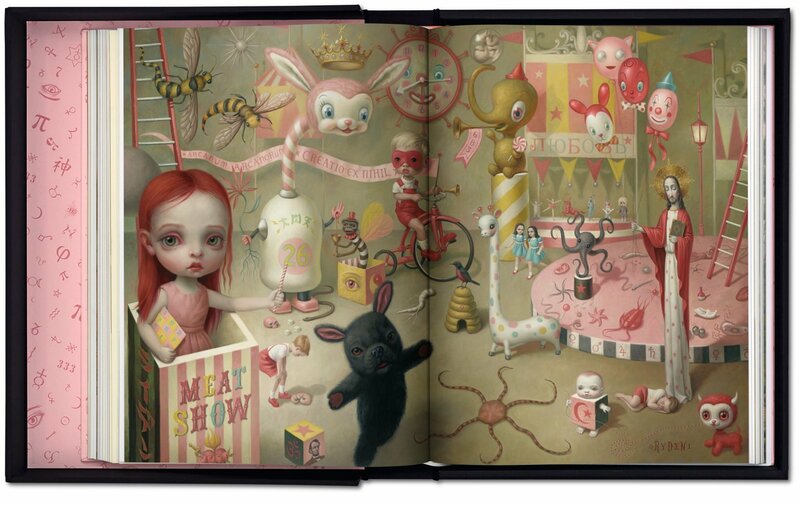 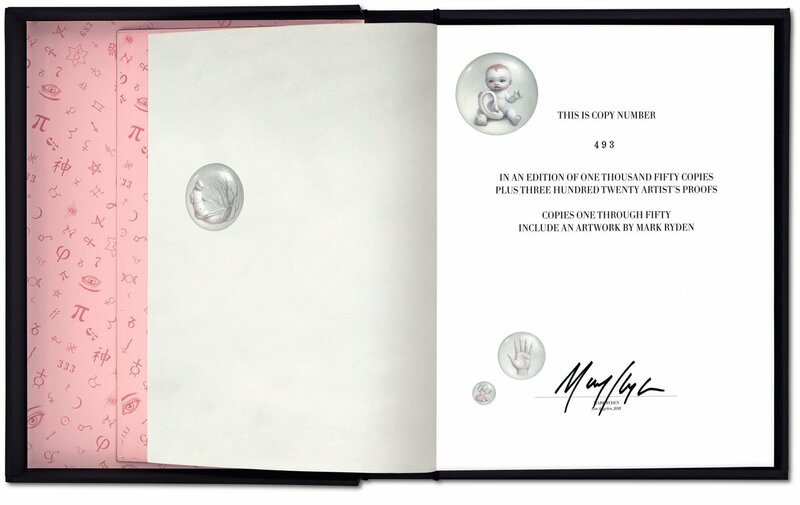 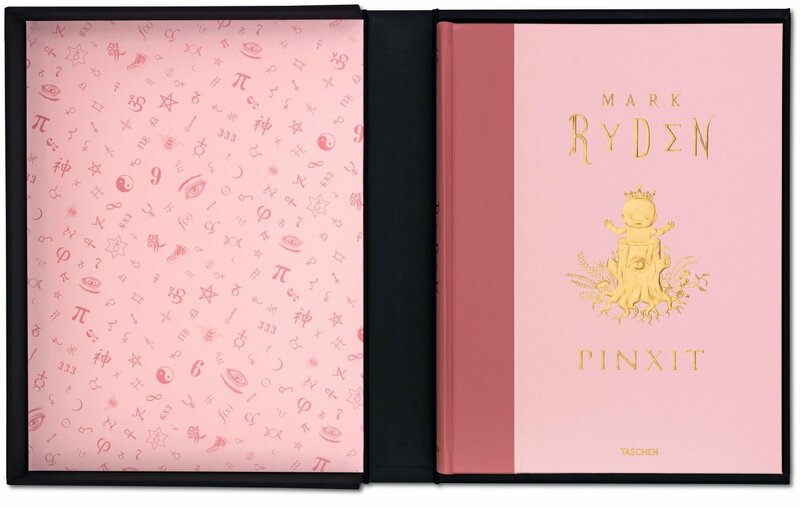 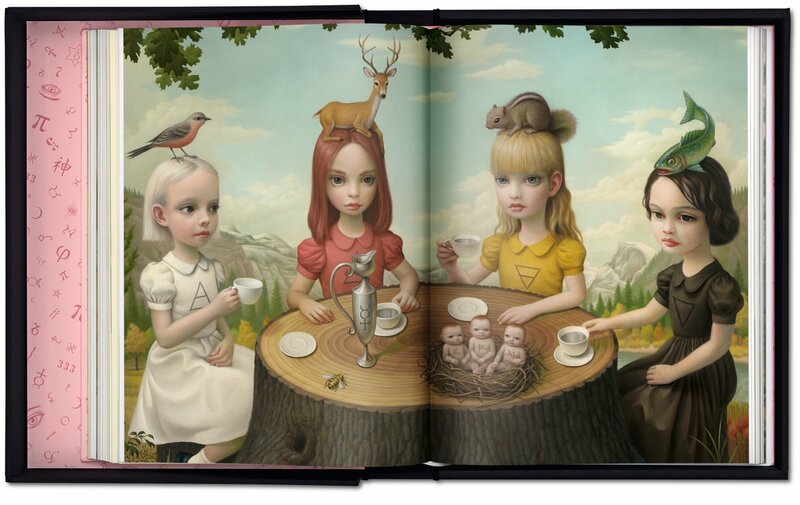 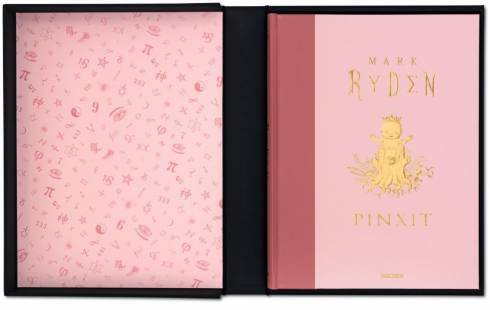 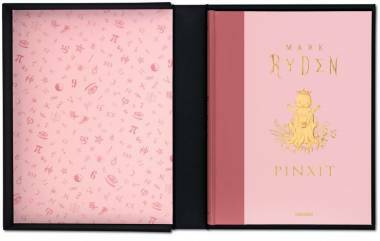 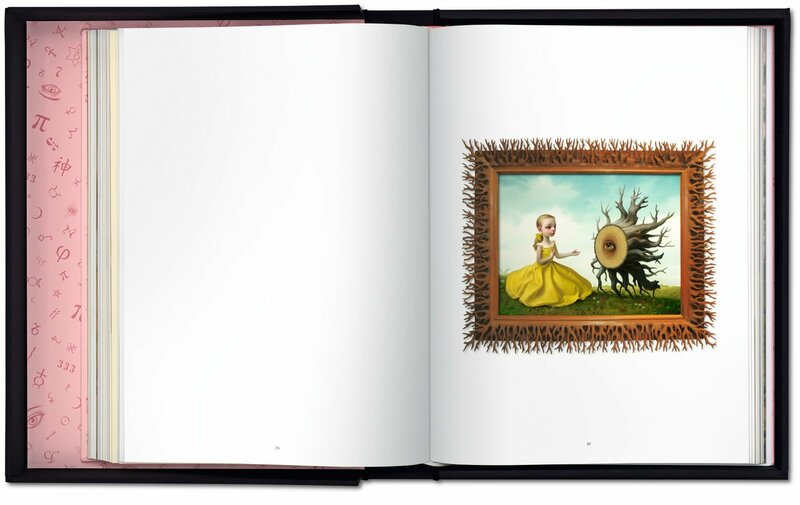 This Collector’s Edition, quarter-bound with leather spine and a gold-relief embossed cover, reproduces Ryden’s paintings and drawings to the highest standard and features over a dozen paintings as stunning fold-outs. 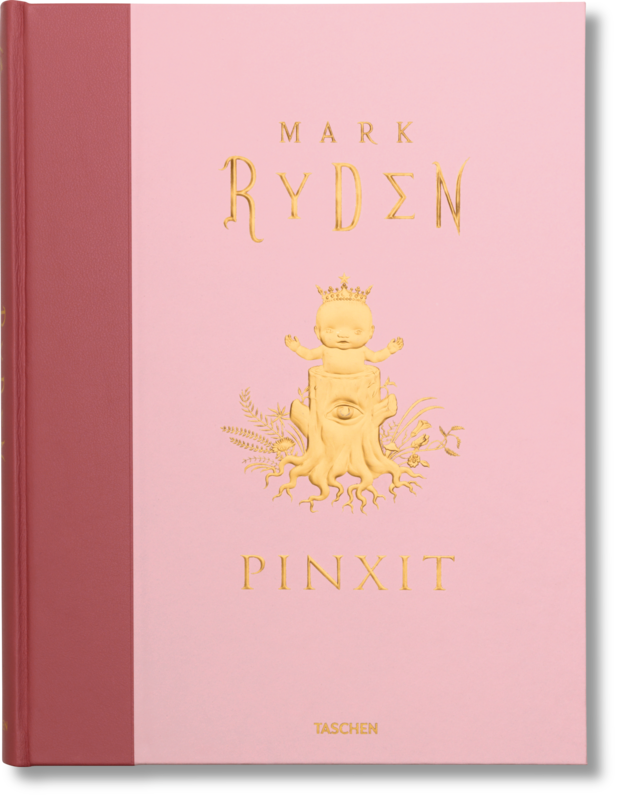 Pinxit, whose title refers to the Latin term meaning “painted by,” is organized by the themes of Ryden’s major exhibitions and covers nearly two decades of Ryden’s practice. 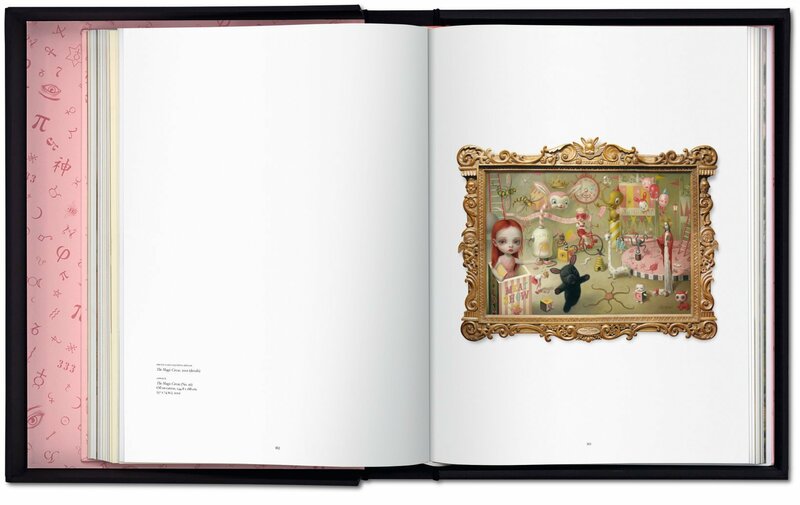 The large-format monograph includes commentaries by Yoshitomo Nara, Carlo McCormick, and others, as well as a new essay by culture critic Kristine McKenna. 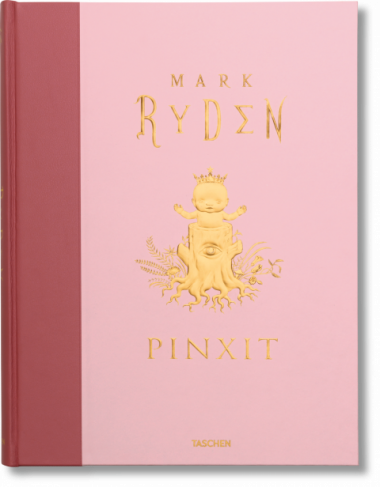 The volume, quarter-bound with leather spine and a gold-relief embossed cover, reproduces Ryden’s paintings and drawings to the highest standard on archival-quality paper and features over a dozen paintings as fold-outs, opening to a staggering 150 cm (59 inches) across.